Today we are going to begin to explain about TAC, what it is and how it works. There is a lot to review. Hopefully you will stick with us and begin to learn more about the TAC project and how you can get involved. First, TAC stands for 'The Advertising Currency'. It is a cryptocurrency project with goals to change how marketing and advertising works which includes goals in both the offline marketing world and the online marketing world. Unlike most other projects, TAC is not a single token or cryptocurrency, it is a series of 10 different tokens, each made for a different aspect of the marketing and advertising industries. Another thing to note is that TAC has already created a MVP, which means Minimum Viable Product. This is effectively saying a platform has already been created which the various TAC tokens can be used on. This platform, called OSMP-TAC, is to become an opensource and free platform anyone can use, setup, and utilize to sell and distribute advertising from. As the platform is developed for use with the TAC Tokens that means anyone running a copy of the platform, also accepts the various TAC Tokens as a form of payment. So what exactly is this OSMP-TAC platform? Thats what we want to get into in this post. How the Project Operates For Administrators? The image on the left shows what this platform can already do. 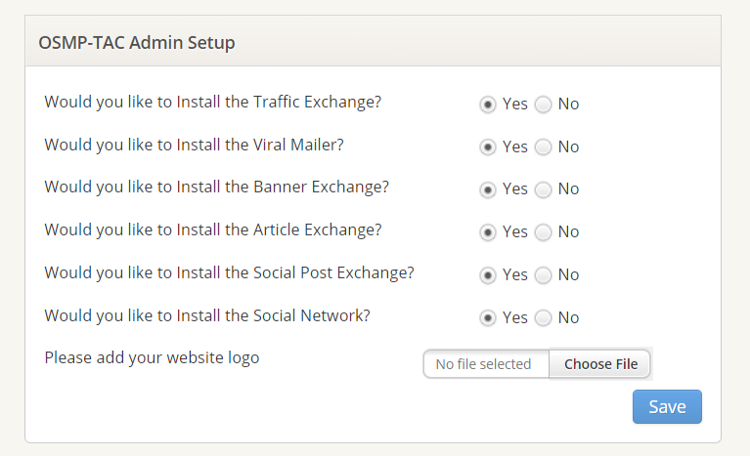 This is a small screenshot from some of the vast amount of options this platform offers from an administrative perspective, meaning those who download and setup the site. As can be seen at the click of a button one can setup a traffic exchange, a viral mailer, a banner exchange, and article exchange, a social post exchange, or even a full blown social network. They can enable or disable whatever features they would like to have in their own sites. Each enabled feature, allows the admin to control exactly how they want their site to run, what they want to charge members for using their site, and even if they will offer crypto rewards to members. Administrators of the script can opt to create various upgrades and offer further rewards benefits and discounts to their members based on their own preferences and their own desires. This, is still only the beginning of the OSMP-TAC platform. The future plans of the project will allow administrators to purchase outdoor advertising, radio advertising, television advertising, magazine advertising and video advertising. If course all of those types of ads require a massively funded project and thats what the TAC Tokens sale is all about, funding the project so it can obtain contracts for such advertising. So how does this platform look to members? With so many different options and features explaining this entire platform is a big task. 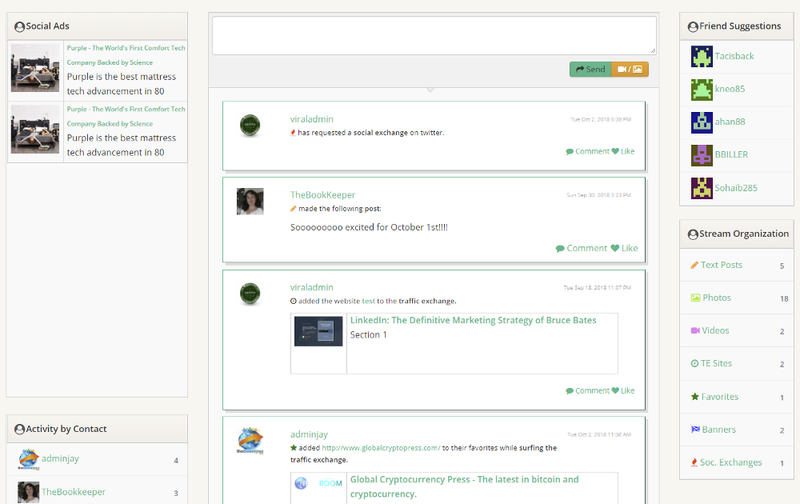 Lets start with the main dashboard. What we can see on this page is three separate areas. First is the holdings area. This shows a person how many credits they have earned or purchased as well as how many of the various TAC tokens they have earned as crypto rewards for performing various tasks. Credits are actually an internal currency for the platform that is not blockchain based. They are strictly used within the platform. 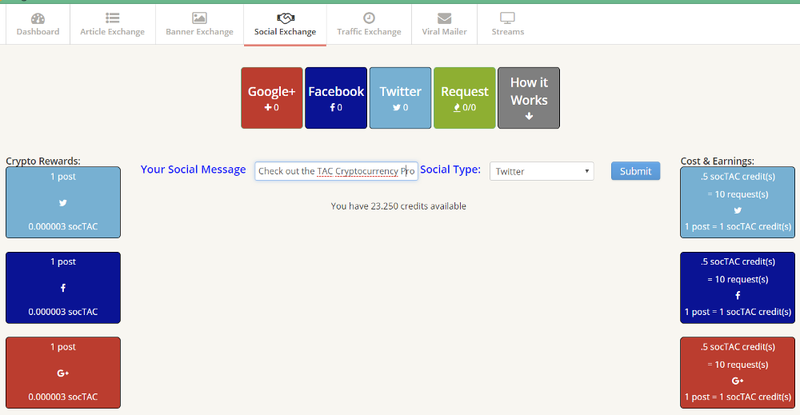 For example if someone has traffic exchange credits, they can use them to advertise on the traffic exchange. If they do not have traffic exchange credits, they can either buy them with the teTAC (traffic exchange advertsing currency) or they can earn them using the platform. 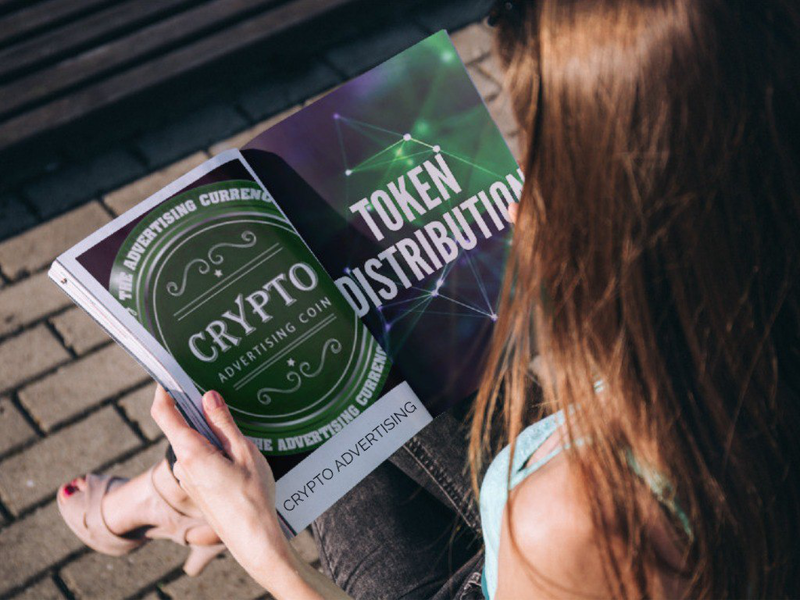 Credits cannot be exchanged for the cryptocurrency tokens, but the tokens can be used to purchase the credits. This will hopefully make more sense as we get further into the article. On the right hand side, you can see the shopping area. From here one can buy credits with the various TAC Tokens, and those credits can then be used for further shopping. By clicking on teTAC credits, a window is opened presenting to us the ability to buy teCredits. There are various credit options and each has its own pricing. As one may expect, the more credits they attempt to buy, the cheaper the prices get on a per credit basis. So buying 500 credits with cost $5 worth of teTAC or a value of $.01 per credit whereas buying 50,000 credits will cost $400 worth of teTAC or a value of $0.008 per credit. If one clicks to purchase, they are taken to a checkout page on coinpayments. They will see that the credits they are attempting to buy are specific to the coin they are trying to spend. If one already has credits, those credits can be further used for shopping within the OSMP-TAC platform. 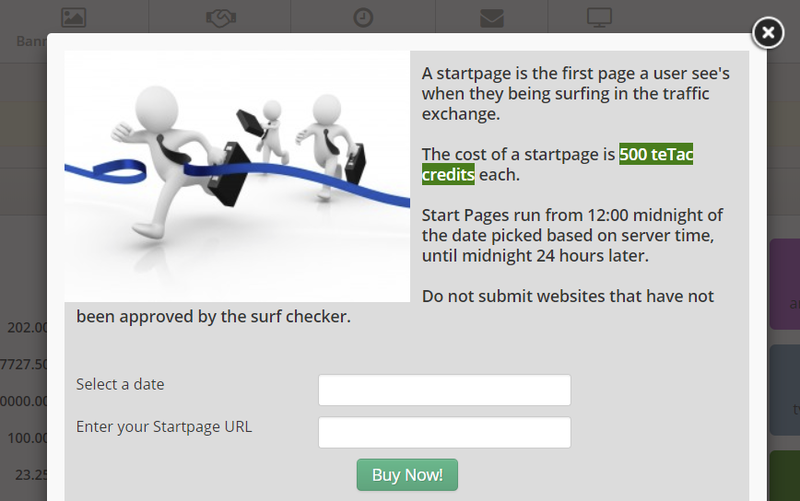 So if someone wants to purchase a startpage, which is the first page someone see's when they use the surf exchange, they would spend credits to do this. 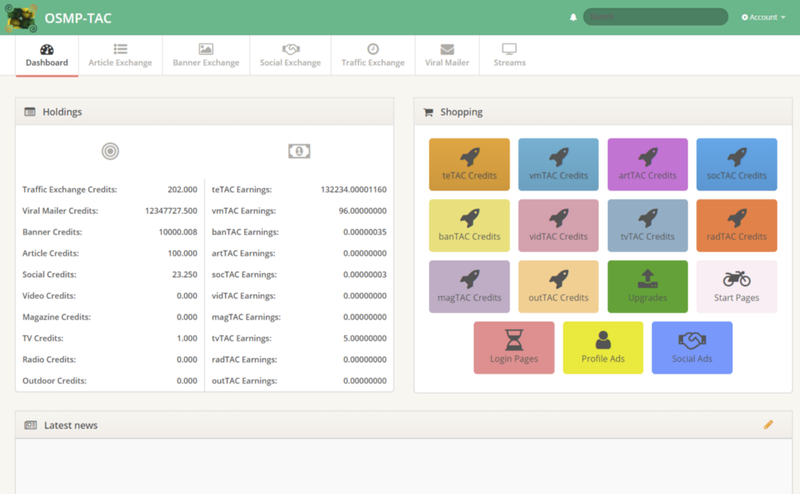 They would specifically spend 500 teTAC credits to purchase 1 startpage that will display for 24 hours to everyone who uses the traffic exchange. Finally at the very bottom of the dashboard, one will find an area used by administrators to post news and announcements. This could be special offers, welcome messages, or just about anything else one can think of. All of this may seem a bit confusing and overwhelming at first, but the more one gets familiar with the site, the easier all of this becomes to understand. If you are familiar with traffic exchanges, the OSMP-TAC traffic exchange is very different. When you surf the traffic exchange, you will notice there is a small text ad that appears at the bottom center of the screen, there is a counter telling you how many pages you have view in the top left corner of the screen, and there is a star in the top right of the screen. The star is used to add a website to your traffic exchange favorites. This allows you to further examine the site later when you are not surfing. What is not displayed is any sort of captcha image as is usually found on traffic exchanges. Instead, after 10 seconds, the captcha will slide out onto the page and you must then click the correct matching image to move on to the next page. Each time you surf a page on the traffic exchange, you earn both credits and a small amount of teTAC token which will be displayed on your dashboard. The amount you earn in both teTAC credits and teTAC token varies based on your membership. The default free membership allows one to earn .33 teTAC credits per page surfed, 0.00000025 teTAC token per page surfed, costs them 1 teTAC credit for their own pages to be viewed, and allows a maximum of 5 websites to be added to the exchange. To add a site one clicks on the "+" button as shown in the image to the left and then they add credits to the site by clicking on the credits link. After adding a site, a user must wait 20 seconds while the site is scanned to ensure it does not break frames or violate and of the site rules. There are also options to suspend a website from appearing in the surf, or to delete a website so new sites and pages can be added. 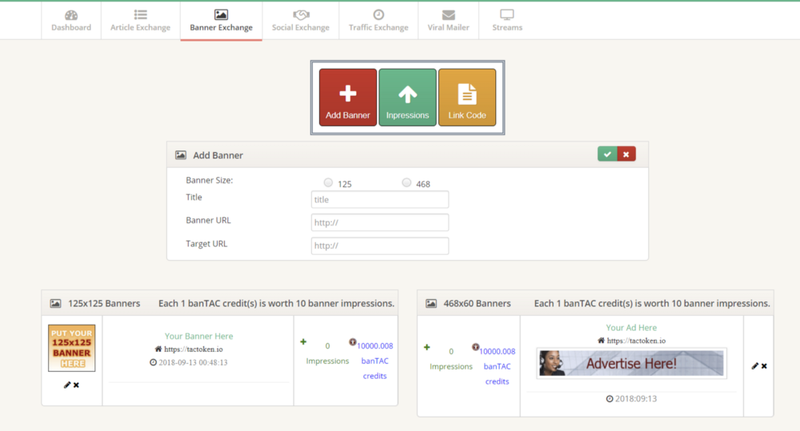 The banner exchange works from a token called banTAC. One adds their own banners of either 125x125px or 468x60px by click "+" button. Then they add impressions to the banner. The default free membership allows a user to add a maximum of 2 banners. The impressions cost 1.5 banTAC credits for each 5 impressions their banners get. That means for each 1.5 banTAC credits, the banner will be displayed 5 times. This does not guarantee someone will click the banner and only works from impressions. Each user also gets their own banner rotator html code. They will earn 0.001 banTAC credits each time someone views the banner rotator on their own website (or wherever they add the banners). 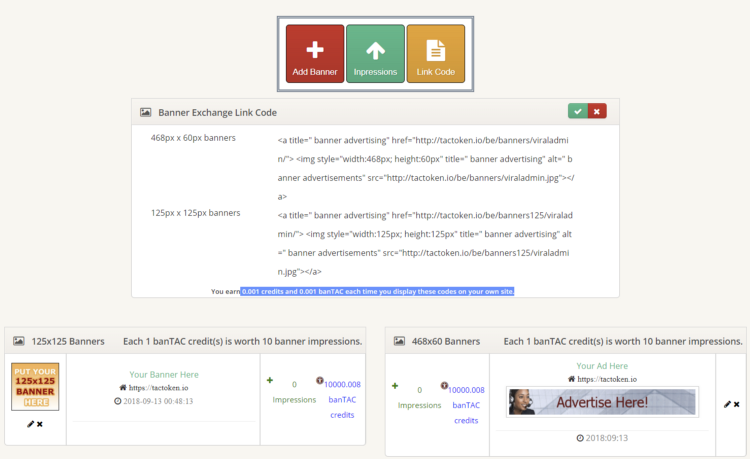 They also earn an additional 0.001 baTAC token each time a banner is viewed from their rotator code. The user will not get credit for viewing their own banner code. This means they cannot add the banner rotator to their own website and earn credits viewing the banners themselves. Equally the user does not display their own banner in their banner rotator - only the banners of other members on the site. The more users add the banner rotator to websites, the more places everyones banners are displayed. The social exchange is a means of getting others to share posts for you on Google+, Facebook and Twitter. To request someone make a post for you, first you click on the green "request" button, then you type your message and select which social network you wish for the post to be made on. 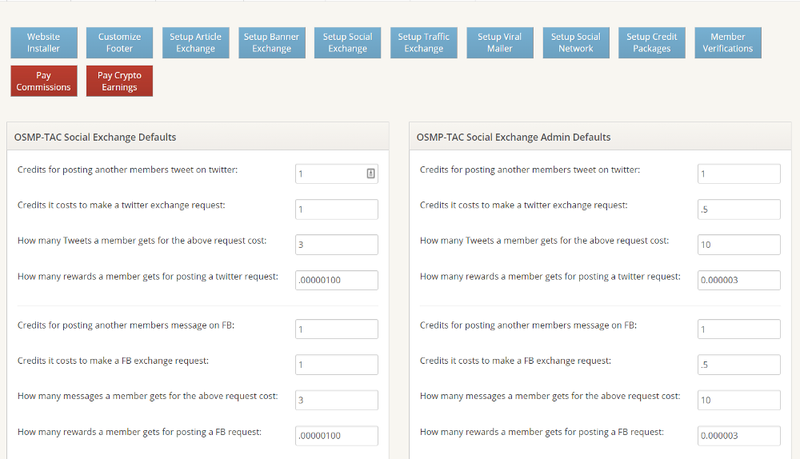 The default settings for a free member are that it costs 1 socTAC credit and your post will remain until 3 different people have posted the message and verified the posting. To add credits of view how many people have posted your message, simply click the green "requests" button and you can see how many times your message has been posted, and how many posts are still remaining until you need to add more credits. When you see lists of social posts, these are the posts you can make to earn both socTAC credits and socTAC tokens from. Simply copy the message in the post, and paste it on the proper social network. Then click the message you have posted and it will vanish from the list. If you have properly posted the message, both credits and rewards will be added to your account. As a default free member one earns 1 socTAC credit and .00000100 teTAC Tokens for each social post they make. One must also fill out their social accounts in the settings area prior to making any social posts for the system to be able to correctly check the account. The viral mailer is a system that allows you to send messages to members you are not connected to and to receive messages from other members. These messages are strictly delivered inside the OSMP TAC system and are not delivered to your email address. A message may contain up to 3 links, can include html, and one can add attachments of pdf, doc, xls, and ppt file types. 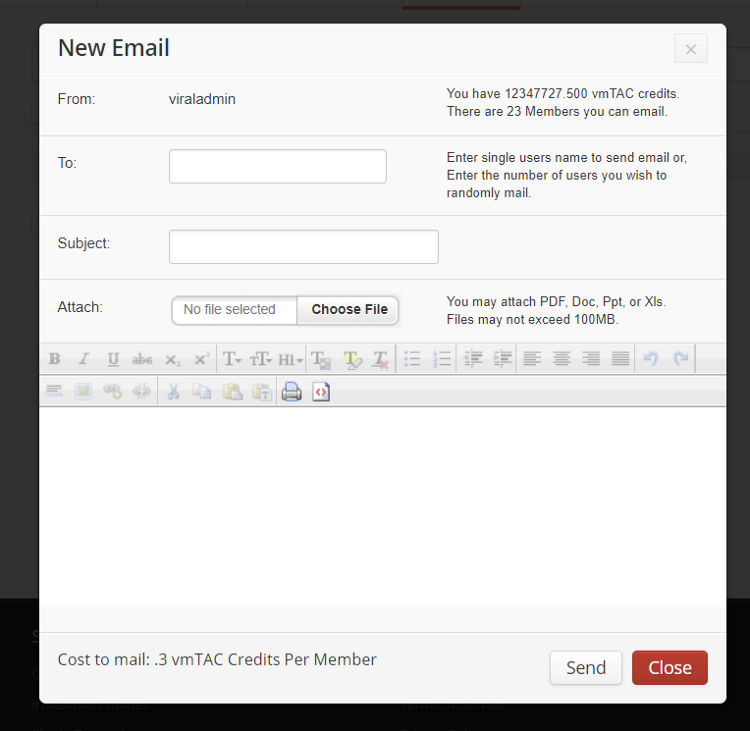 Default free members can send an email 1 time per 24 hours and the cost is 1 vmTAC per recipient that they send to. To send emails one must either enter a username, or enter the number of random users they wish to send to. The maximum number of users that one can send to is the total number of members the site has minus themselves. As the person receiving the email, they earn both vmTAC credits and Tokens for opening and viewing the email, for clicking each link contained within the email, and for waiting 10 second and correctly answering the captcha. One thing to keep in mind when typing up emails is that one has to actively make the links active. simply typing in a url will not create an active hyperlink and users will not open the link as it is not active so they earn no credits for doing so. The viral mailer captcha is also very different from the traffic exchange. Instead of simply clicking a correct link, you have to add the correct named cryptocurrency into the piggy bank. Default free members of the OSMP platform earn 1 credit for each email they open and 0.00000015 vmTAC Tokens for each email they open. They earn an additional 2 credits for each link they click and an additional 0.00000015 vmTAC Tokens for each link they click. They also earn a 3 addition credits and .00000030 additional vmTAC Tokens for each correct captcha they click. The article exchange is something very unique to OSMP-TAC. It is a means of requesting others to write and publish article about your business or your project. Members of the site will be paid in artTAC credits and artTAC Tokens to post articles for you. These are hand written articles and not copy and pasted article. The articles must follow the criteria you set forth and must be made available on public websites. Each article must contain the correct title of the article, the correct sentences you select to be in your articles (which should be filled with keywords), have the correct link, use the correct linking text, and be a minimum of 500 words. 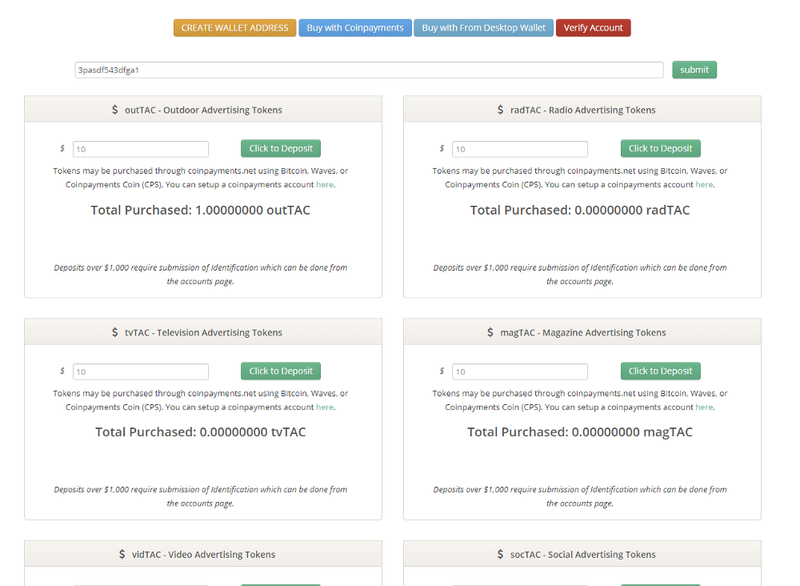 As you can see from the photo, you also set how many artTAC credits each user will receive for posting your article. 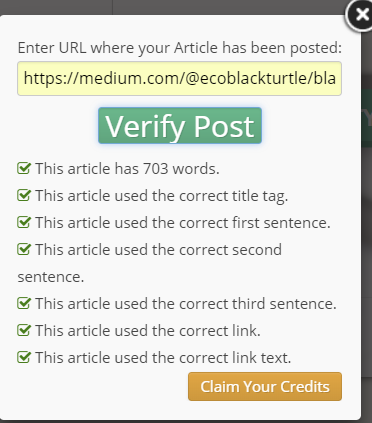 Your article will remain active until 10 different people have posted, and you only get charged one time based on the credits you offer. So if you offer 100 credits, you are charged 100 credits and each of 10 users will earn 100 credits to make an article following your criteria. 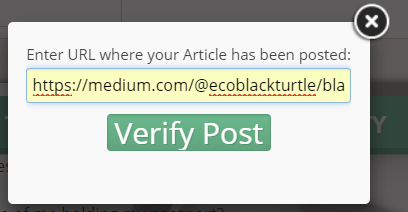 To verify an article a user must insert the link where they have posted the article then click "verify post". The system will automatically scan the article and check that the article length is correct and that each of the criteria has been followed. If any information is incorrect, the user is shown what information is wrong so they can go back and correct the details. If the information is correct they will see another button to collect their credits. They also will receive a artTAC Tokens as a payment for posting your article based on their membership level. For default free members they earn .5 artTAC for each article they publish. After an article has been published by a user and the credits and rewards correctly claimed, that article will disappear from their list. The social network included is the OSMP-TAC platform is very unique and not like other social platforms for a lot of different reasons. For starters, it gives one easy access to sort their stream based on content types. This means photos, videos, text post, and all other aspects of the social network can be filtered from each other. Equally it allows a user to sort their streams based on specific friends they have instead of all their friends contents being mixed together in one large stream. Unlike major social networks, there is no behind the scene automated tools working to decide what content is best suited for you. All your connections content is displayed for you and is very easy to find and sort through. However that's only the start of things. OSMP-TAC social network, is also a social rewards system. It pays people in both socTAC credits and Tokens for being active in the system. It pays them rewards for each friend connection they make, it pays them rewards every time a post they make gets 5 or more comments on it, it pays them rewards every time their post gets 10 or more likes, and it pays them rewards every time they comment on someone elses posts and their comment gets 10 or more likes. For default free members one earns 1 credit for making a new friend connection, for receiving 10 likes on a post, for receiving 5 comments on a post or for receiving 10 likes on their own comments. It pays an additional .00000100 socTAC Tokens for each friend connection they make, an additional .00000011 socTAC Tokens for each post that gets 5 or more comments, still another .00000011 socTAC Tokens for each post that gets 10 likes, and finally an additional .00000025 socTAC Tokens for each comment they make that gets 10 likes. We have just explained an awful lot of features for a single platform to offer. What's even better is that the platform pays out cryptocurrency to people who use the platform. The more a user utilizes the platform the more they end up earning in the various TAC Tokens. So you will notice throughout the entire article I kept telling you what the default free member values are. The reason for this, is that one can use their credits to purchase platform upgrades. The higher their membership level, the faster they earn credits and the more TAC Tokens they earn as rewards for surfing the exchanges, writing articles for other members, reading emails, making social posts, sharing banners, and utilizing the social network. There are also features I didn't discuss such as profiles, adding banners to your own profiles, purchasing sidebar ads in the social network and purchasing login ads that all members must view when they login to the site. So with all these features coming out at the start of the project what is left? What does the future of the OSMP-TAC platform and the future of the TAC cryptocurrency project really hold? Well the future of the platform and project are both outstanding. The TAC Tokens all sell for a value of $1 USD. The sale of these tokens will continue indefinitely. There is no presale or investment into this project. There is no true ICO taking place. The funds that are raised from the sale of the TAC Tokens are to be used to buy mainstream offline advertising contracts. Things like billboard ads, radio ads, television ads, public transportation ads and magazine ads. The contracts will be used to supply a whole new area of marketing categories within the platform. Users will be able to spend their tokens to purchase offline "real world" advertisements. These contracts don't come at a cheap cost so this is a huge feat for a project to try to take on. As a contract is secured, the advertising will be offered through the administration area to others who have downloaded and setup their own copies of the software at wholesale values. The ads will also be offered for sale to members of the platform at a MUCH cheaper rate than is currently being offered by marketing agencies. This will be ensured through advertising contracts that cost more than standard advertisers can afford to buy. This is very similar to bulk buy, only on a contractual basis and in a cooperative way with all those who are holding the TAC Tokens. How do you buy TAC Tokens? The TAC website is https://tactoken.io. Upon logging in you will see a list of all 10 of the TAC Tokens. Each token has a selling price of $1USD. You simply enter the amount of USD you wish to purchase of any of the tokens and click to deposit. You are taken to a coinpayments payment page when you enter your information and send funds to. If you prefer a more anonymous method, there is a link at the top "buy with desktop wallet". Using this method you are given to wallet addresses: one for Waves and another for bitcoin. You simply enter the amount of tokens you are buying, send to proper value to the wallet address displayed, and enter your txid. The system will automatically verify the txid and correct address have been used and that the correct amount has been sent. Tokens are distributed to members approximately every 24 hours. TAC has only just launched less than 48 hour ago at the time of this writing, but it is most certainly one unique project that anyone in the cryptocurrency industry should be paying attention to. It is not just another pump and dump nor is it a cryptocurrency security. It has massive potential with a ton of love and care having gone into it's development. Hopefully after reading this article you find yourself interest enough to join. Bruce is a very helpful and experienced marketer. He will help you with whatever your needs are or direct you to what you are looking for. He is a true professional. Bruce Bates is hands down one of the most brilliant, intelligent, informative, honest, motivated, sound thinking, professionals you will find. Bruce is one of a kind marketing expert. His analytics is fair, balanced, actionable and thought provoking. Truly world class! This man is one of the best writers I have come across in a long time. 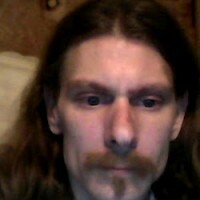 I enjoy everything he writes and I enjoy that he researches everything before he writes it! This is really amazing concept of email marketing!